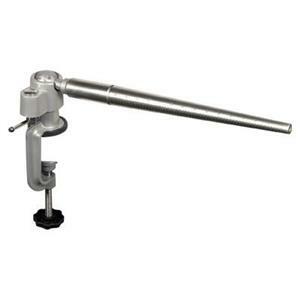 Easily work on rings with this fully rotating ring mandrel. No need to hold the ring with one hand while doing detailed work, with this mandrel both hands are free. Shop our large selection of ring bands and shanks. Notes: Mandrel is for sizes 1-15. Ball joint can be screw tightened in place. Helps free up hands when forming rings with metal or wax for casting.